Design and Architecture Awards held at the Hurlingham Club in London, UK. The 2014 International Design & Architecture Awards are hosted by design et al, a leading UK interior design magazine. The aim is to commend international design and recognize talent. 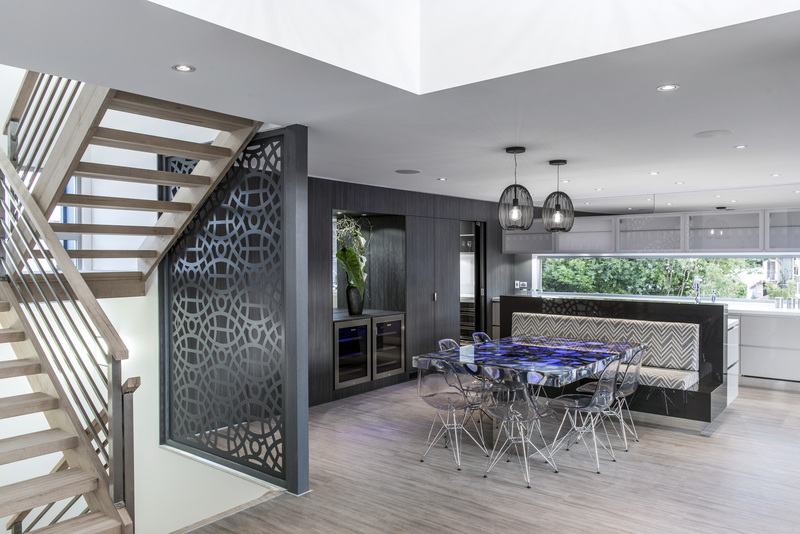 Design Director, Kim Duffin, was recognised for his work in transforming a derelict set of flats in Annie Street, New Farm, into a magnificent home. He was up against international design firms from China, Singapore and India.This is the first international design award won by Mr Duffin. 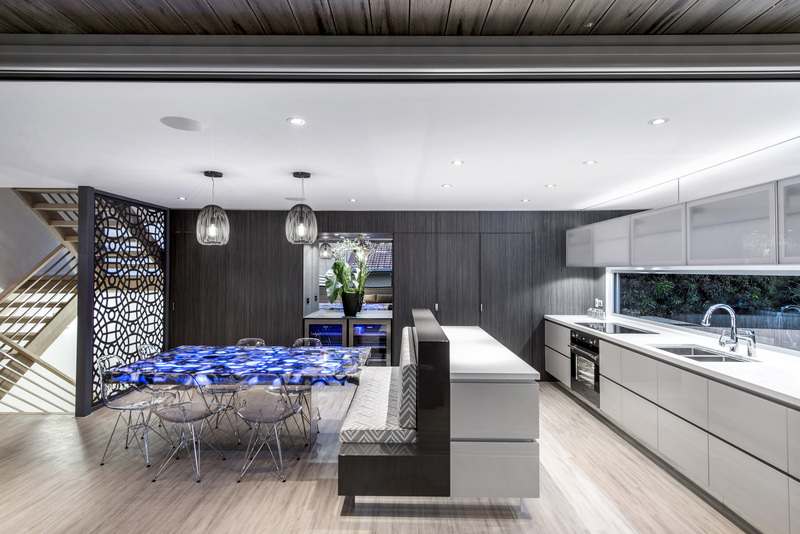 It takes the 40-year-olds award tally to over 80 regional, national and international Kitchen Design awards in eight years. 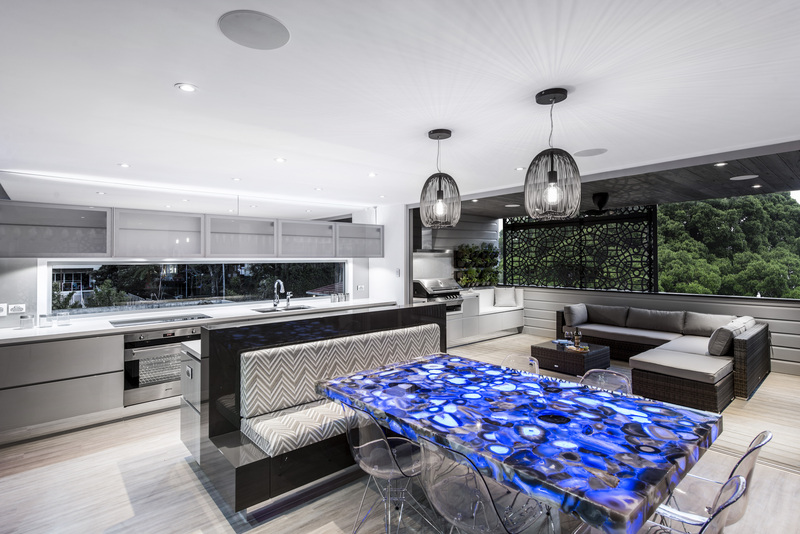 “Being recognised at an international level is something all Australian Kitchen designers aspire to. The design community, in Brisbane, has really come of age and is up there with the world’s best” he said. blur between indoor and outdoor living is a necessity in our daily lives.” “My wife, Rebecca and I are thrilled to be recognised at this level. We have a great in-house team of six to thank, in addition to our suppliers and the ancillary tradesmen that worked on the project. We are very grateful” said Mr Duffin.